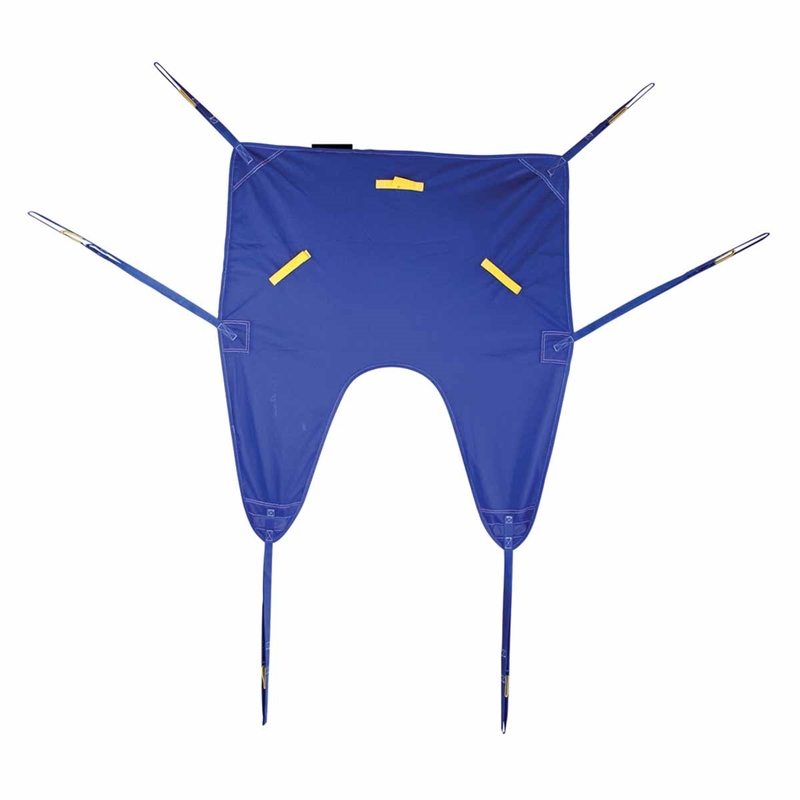 This Alliance Universal Deluxe Padded Sling with Full Head Support is a split-leg sling that meets most general patient lifting needs and can easily be applied or removed from a seated or reclined patient. The Alliance Universal Deluxe Padded Sling with Full Head Support has a padded body style that ensures maximum comfort at pressure points. Features six-point connectivity.